It’s the day of your driving test and you need to be as clued up as possible! We’ve decided to note down the best advice about what you need to know for your driving test – so you can be as prepared as possible and of the right frame of mind! One of the most common questions we get is ‘what should I bring with me to my test’? Well, you’ll need both parts of your provisional license, so that’s the paper counterpart and the photo card. 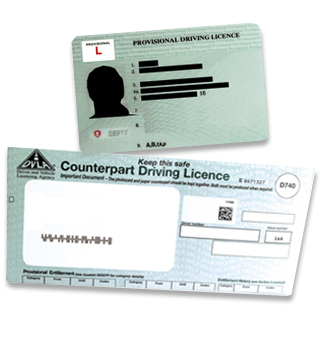 If you don’t have either the card or counterpart, you’ll need to reapply for a replacement – you won’t be able to take your driving test without them both. You also need to take your certificate for passing your theory test. These documents are absolutely vital and your test could be cancelled, losing your fee, if you don’t bring them. We would recommend taking some extra bits though; having your ‘show me tell me’ question revision is good to have a quick read over whilst you’re waiting for your test to begin. Or, bring a book/magazine which you can distract yourself with, as the wait is probably the worst bit of the whole test process! Don’t forget your glasses or contact lenses if you wear them, you’ll be asked to read a number plate correctly to ensure that you’re fit to drive. We just mentioned the ‘show me tell me’ questions, where before you start your test, you will be asked two questions about vehicle safety. For the ‘show me’ question, you will have to show the examiner how to do a vehicle safety check. For the ‘tell me’ question, you will have to explain to the examiner how you would carry out a vehicle safety check. There are 19 different questions you will need to learn for this part of the test. You will get 1 minor for each question you answer incorrectly. 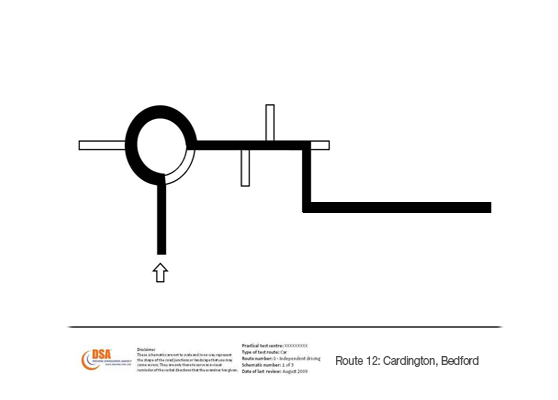 If you take your driving lessons in Bedford, your driving instructor will focus on test routes that are most likely to come up, according to what time your test is. However your instructor will go over all or most of the test routes with you, so that there are no nasty surprises on the test day. During your test, you’ll be asked to do a manoeuvre. This manoeuvre is one of four which the examiner chooses from, unfortunately, there’s no guessing which manoeuvre you might get, so you have to be confident with all four. You’ll need to know how to bay park, parallel park, turn in the road and turn round a corner. Most importantly, before and during your driving test, keep calm and remember everything you’ve been taught. If you’re feeling nervous, read about how to deal with your driving test nerves. You’ve got the skills; show the examiner what you’ve got!